St. Peter Claver Parish was established in 1972, covering the southeastern corner of Ventura County and Santa Susana. Father James McKeon served as pastor for 19 years. In the early days of the parish, Mass was held in Fr. Jim's living room in the priest's residence on Pittman Street. Shortly before Father Jim's passing in 1999, Fr. Dennis Mongrain, blessed the ground for a new church in 1996. By 1998 a permanent church was dedicated, replacing our current parish center where Mass was said for over 23 years. In 2007-2008 Monsignor Gary Bauler led the way in the construction of our Preschool, Kindergarten, and Youth Center to meet the growing demand for Catholic schooling in the area. The Preschool and Kindergarten opened its doors on June 16th, 2008 with 15 students enrolled for an eight-week summer school session. In 2012, Father Riz Carranza became pastor upon Monsignor's retirement. 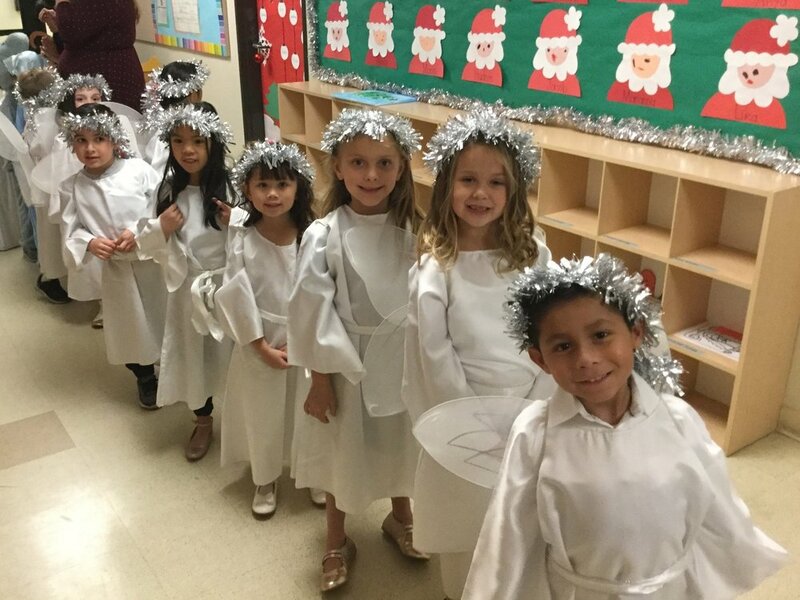 St. Peter Claver Preschool and Kindergarten provides a developmentally appropriate curriculum centered in faith and the teachings of the Catholic Church. We endeavor to deepen a child's awareness and love of God and to nurture their natural love of learning. We, the members of St. Peter Claver Catholic Community, acknowledge and respect the uniqueness of each child. In partnership with parents, we provide developmentally appropriate Catholic instruction in an environment which supports each child's sense of self and nurtures a love of learning. Our curriculum incorporates a variety of learning activities designed to enhance a child's love of God, and promotes problem solving, creativity, self-expression, and social skills. We seek to stimulate children's learning in all developmental areas while allowing for individual differences in learning styles. We affirm the worth and dignity of each child and foster an understanding of and sensitivity to all people by encouraging reverence and respect for each person. FR. RIZ J. CARRANZA, has served as Pastor of St. Peter Claver Parish since July 1, 2012. He was born and raised in the Philippines and finished his first eight years of Seminary formation there. He is the seventh of eight children. He was ordained a priest for the Archdiocese of Los Angeles on June 21, 1980 and has served at five parishes in the Archdiocese including, St. Philomena Church in Carson and St. Mary of the Assumption Parish in Santa Maria. He is very happy to have St. Peter Claver as his home. He loves his parishioners and especially enjoys visiting the school children and sharing the love of God with them through music.